We are diving back into the immigration and naturalization process with the USCIS. We had a very straight-forward and successful process with Sky and Fire's naturalization using the N600K a few years ago (see this page for more information) but since we're living in the US now, things are a little different. 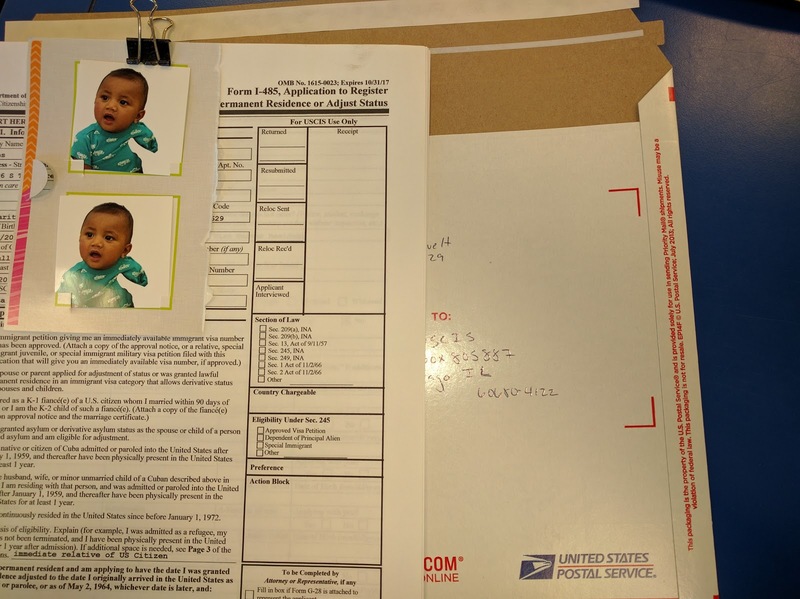 We've been given conflicting information from others in the process and from different people at the USCIS but we're going ahead with the process that was outlined for us just before we moved: enter the country on the RMI's Compact of Free Association's visa waiver, then apply for a change of status to legal resident using the I485. Once Earth has legal residence here and has lived with us for two years, we'll file for naturalization using the N600. I sent his first set of forms in this week and they've been received. I'll share updates on our progress here as the process moves forward. Wish us luck! !